This summer I put in a paver patio. We like our yard, but since our house was built five years ago, we haven’t really had a good place to just sit outside and enjoy it. A patio’s been on the to-do list, but I just never got around to it; so to create some motivation, we established a goal this year to get a patio installed by C’s birthday at the end of August. We battled some wet weather early on (like the entire month of June), but get it done we did, and with a full week to spare. I won’t say that installing a paver patio is easy, but it’s not overly difficult. If you like a little DIY, it’s certainly doable, and the concepts are the same regardless of the scale of your project. It just may take a while, and it involves a lot of physical labor: between the dirt, crushed limestone, sand, pavers, and wall blocks, I easily moved dozens of tons of material to get this done. Probably not something to do if you have a bad back. I’m not throwing myself out as a substitute for your local landscapers who’ve been installing patios for years; if you’re so inclined, by all means, have a professional do it. But if you’re like me, you enjoy a challenge and take pride in your work (and also like to save some money – hiring someone to do it for you will easily run three to four times more than doing it yourself). I’m just suggesting that you don’t need to be a professional bricklayer to do this. I do a lot of different things, and there’s not much, if anything, in which I would consider myself to be an expert. 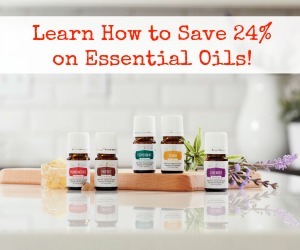 There are tons of resources out there for just about everything, and I hope this can be one of those. And since I like things simple, I’ll try to break this down into easy-to-understand steps so we don’t lose anyone along the way. 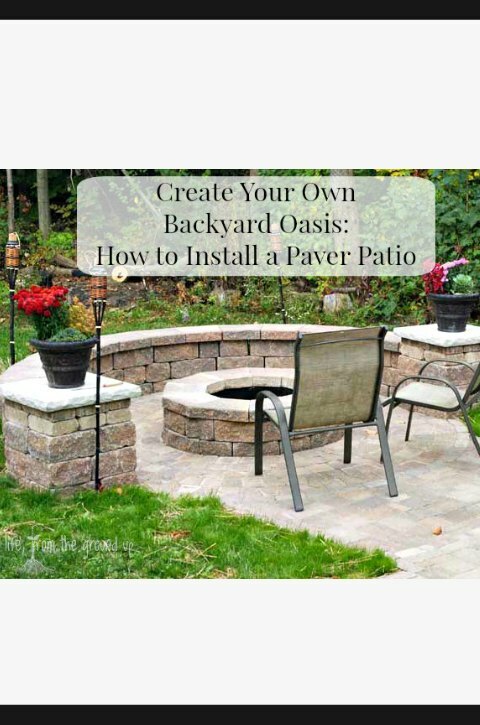 So grab a shovel and we’ll see how to install a paver patio that will bring you years of enjoyment. First things first: figure out what you’re doing. Don’t just start digging holes. Sketch out a plan (I love to use good old-fashioned grade school graph paper when I’m planning any projects where dimensions are important). Patio? Sidewalk? Big? Small? Square? Round? Pavers? Bricks? Natural stone? When you have it on paper, go test it out in the yard. Throw up some stakes and string, because I promise, unless you do this for a living, it’ll look completely different in real life that it did on paper (and in your head). And if you’re doing right angles, one trick is to measure the diagonals (one corner to the opposite corner): even if it looks square to you, it isn’t unless the diagonals are equal. A couple things to consider when siting your project: make sure it won’t divert water toward the house/foundation, and don’t put it in a low spot in your yard that’ll collect water. You don’t want standing water anytime, but particularly not in an area that has a freeze/thaw cycle. When you’re satisfied with the look, the size, the location, and everything else, only then should you start digging. A general rule of thumb is to dig deep enough to account for 4-8″ of base material (crushed limestone), 1-2″ of sand, and a paver thickness of ~2 1/2″, so you’re looking at digging down a good 10″ or more. Hope you have a good wheelbarrow. 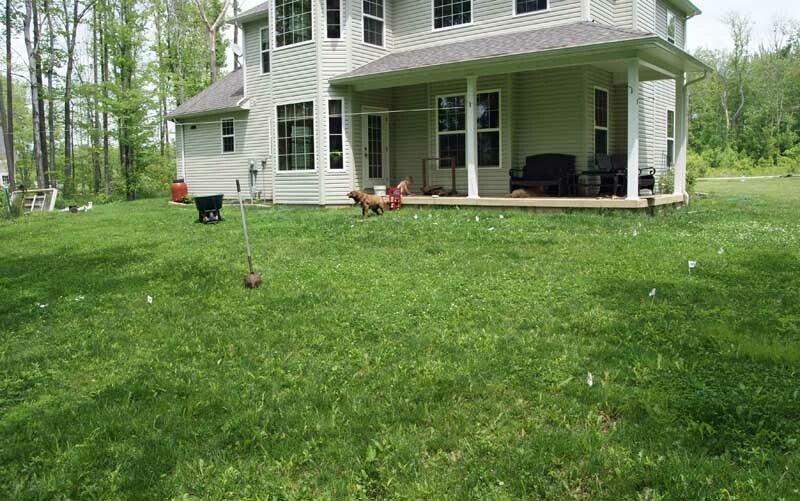 I generally dig around the edges first (using stakes and string as a guide), taking off the top couple inches of sod before working my way in, but you don’t have to. You’ll probably have to throw even more string across the digging to ensure you’ve got consistent depths going. Here’s where you’ll set up the drainage too, so do this part right. For every foot of patio, you want the elevation to slope down about 1/8 – 1/4″ (away from the house, of course), so for an eight-foot square patio, you’d want the top edge to be an inch or two higher than the far edge. It doesn’t have to be anything drastic, as water will flow downhill on any surface as long as it’s not perfectly flat (that whole gravity thing). Get yourself a string level for this, unless you have surveying equipment. 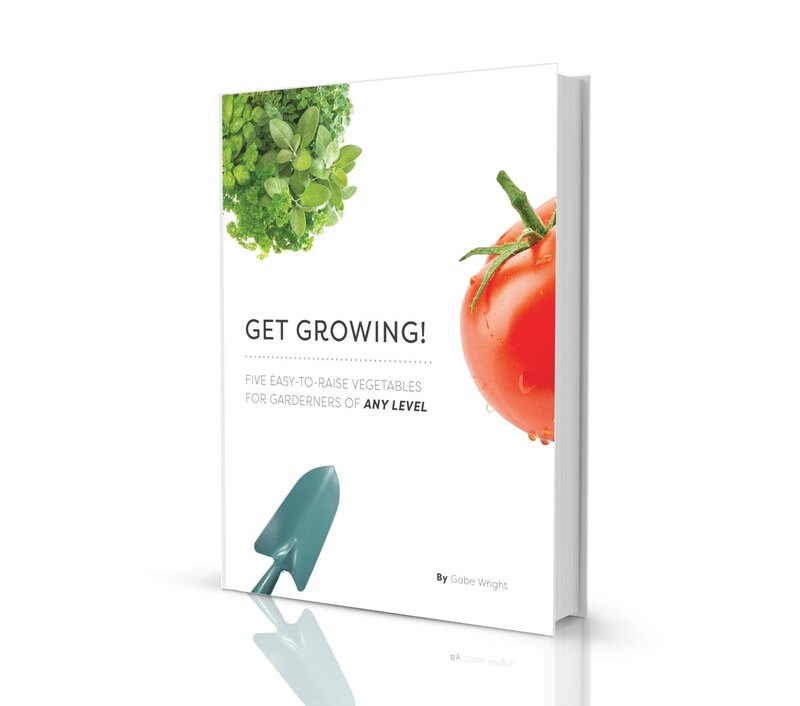 Depending on what you’re digging into, you may need to do some extra compacting before the next step. Here in Ohio, we’re blessed(?) with clay soil, so it’s already pretty darn packed. If you have something sandier, it’s a good idea to compact this as much as possible before proceeding. You’ll want the bottom to be smooth (but not perfectly level, remember), but it doesn’t have to be perfect. 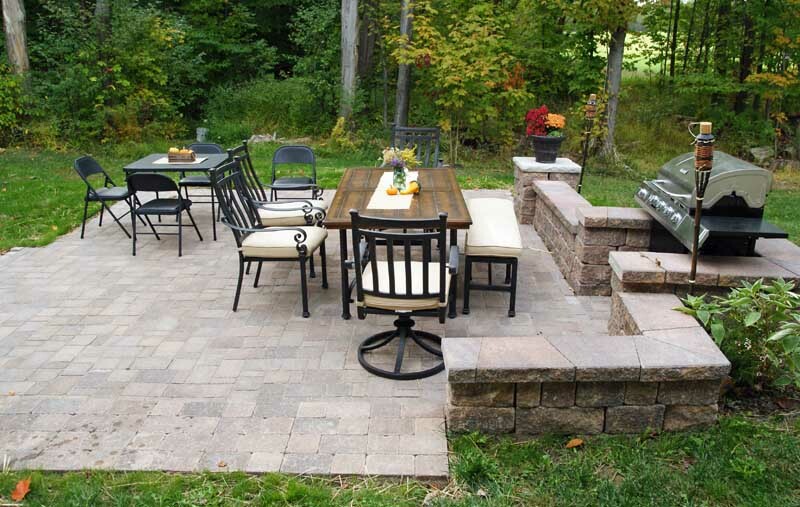 Creating a good base for a paver patio is probably the single most important step for creating a long-lasting project. If you skimp on this, your end result might look nice at first, but will probably start to sink or buckle over time. 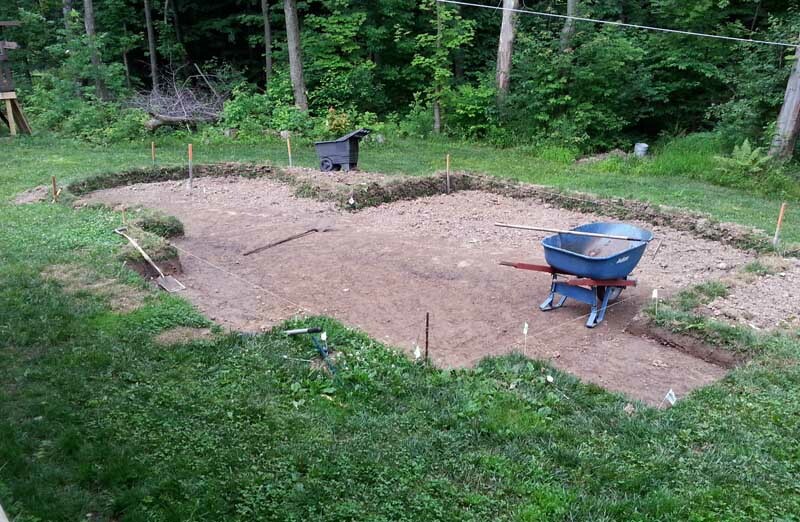 For a normal-use patio, a rough recommendation is at least 4″ of material, but 6-8″ is even better; for a rough idea, I used about 16 tons of stone for a patio ~350 sq. ft. The material is generally a crushed limestone aggregate (sometimes referred to by a number, such as #411) – this mix contains rocks that vary in size from about 1″ all the way down to dust. The size variance is very important for compactibility. Most local landscape supply companies should carry some type of crushed limestone. Before you start dumping the stone, place a layer of weed fabric over the dirt base. This is not to prevent weeds, but rather to prevent the rock from gradually settling into the soil base over time. Maybe not necessary if you have a good hard clay base, but it’s cheap insurance on a pricey project. Once the weed fabric is in place, go ahead and start dumping the stone. If you can recruit a helper with an extra wheelbarrow, do it. You’ll need to put some string across your hole in various locations to keep the depth consistent. It’s recommended that you compact the base after every few inches or so; I compacted twice for my base of 8″. When you have things flat (remembering to leave a slight slope), it’s time to compact. For this, you’ll probably want to rent a gas-powered compactor; they’re not too difficult to find. You could use a hand-held tamper, but it’ll never get as compact as with a machine. Besides, the compactor is a fun little tool to use. Hose down the stone for a few minutes, then starting in a corner, move from one side to the other, overlapping the prior pass by a few inches. When you get to the end, do the same thing, this time moving perpendicular to your original direction. Finally, go over everything on a diagonal. If it seems like overkill, just remember: the better the base, the longer it’ll last. When the limestone base is flat and fully compacted, you can now lay a bed of sand in which to rest the pavers. Note that you don’t want to just run to your local home improvement store and pick up bags of play sand. 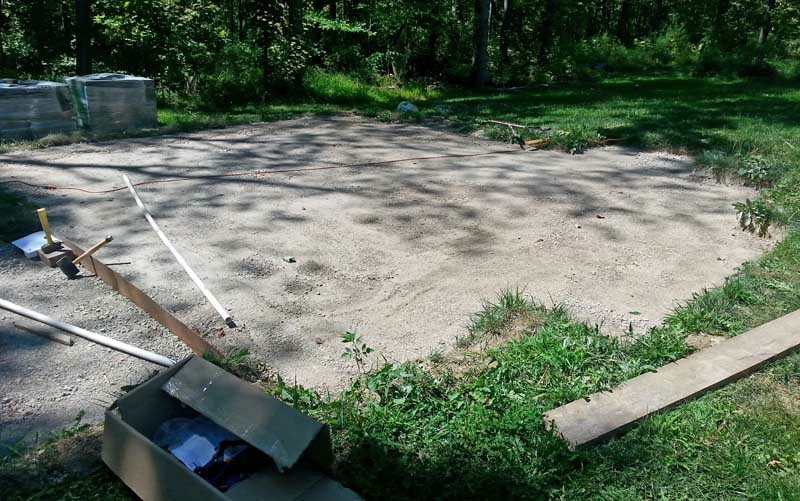 You’ll want to use mason sand (possibly concrete sand, if you can’t find mason); again, most landscape supply companies should be able to get this for you. Mason sand, unlike play sand, has sharp edges which, on a microscopic level, lock together to form a firm bond and give your project stability. Play sand usually has rounded edges, so that lock just doesn’t form. The sand bed should be about 1″ deep – the tip I found here is to use two pieces of 1″ PVC pipe or electrical conduit as a guide. Lay them a couple feet apart and dump a load of sand on top. Using a flat board, scrape the excess sand off. Move the pipes as needed to continue the process. You’ll have small divots to fill after the pipe is picked up; just fill these in with a trowel and carefully smooth. Do not compact or walk in the sand base. If required, lock any small children or dogs in the garage while you’re working on this. Kids, despite repeated warnings/threats, have a fascination with seeing their footprints in the sand. Dogs follow kids. And now the fun part: creating an actual paver patio. Leaving yourself a couple inches around each side (for the later installation of a paver edging system), start to place the pavers according to whatever pattern you choose. And it’s probably a good idea to have a pattern and not just lay them haphazardly. Also probably a good idea to have a string guide to make sure you’re following an actual straight line, and not just what you think is a straight line. Work from one corner to the opposite corner. 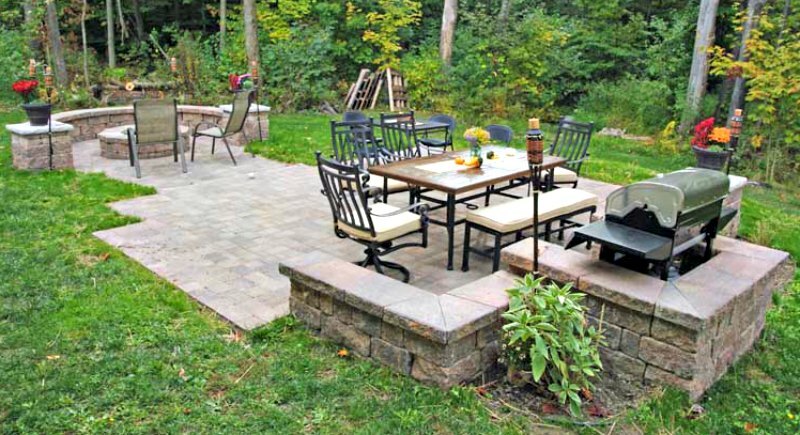 You can carefully walk on the pavers as you lay them, but try to stay away from the edges! This will push the lip of the pavers down into the sand. As you work your way across, you’ll probably need to make some cuts when you reach the other side. You can always rent an actual concrete/paver saw, but I had good results using a diamond blade in my 7″ circular saw – just make sure you wear some kind of mask! Another important, but sometimes overlooked step is installing a paver edging system. This ensures that your bricks or pavers don’t slowly migrate outward as you walk on them, which would break the sand bond, which would render your project a wholesale mess. Make sure the edging is snug against the pavers, and hammer in the spikes (usually come with the edging; if not, 6″ landscape spikes work) about every 18″. Once the edging is in place, you’ll want to do a final compacting, again with that fun machine. Just like the last time, go over the pavers in multiple directions. The vibration from this settles the pavers into the sand bed and brings a bit of the sand up into the joints. 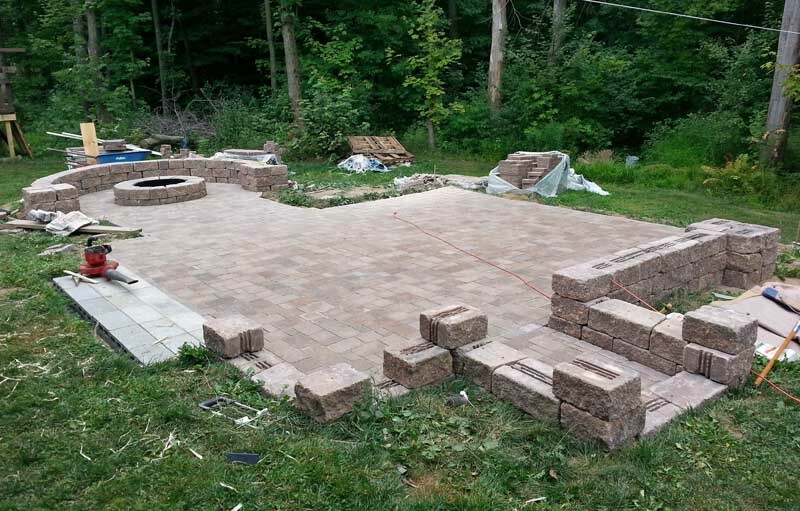 Once this step is complete, you’ll have a remarkably strong bond between the pavers. Finally, to complete the paver patio, you need to fill in all the joints. A basic concrete sand will work (again, not play sand), but I like to use polymeric sand. Polymeric sand will harden slightly and helps keep weeds down and the sand in place. If you do a polymeric sand, make sure you choose a high-quality brand. Some add portland cement to the mix, which will leave a haze on the pavers. Follow all the instructions carefully: usually this entails sweeping the sand into the cracks, running the compactor one more time to settle the sand into the joints, sweeping more sand into the joints, sweeping off the excess, and using a blower to remove any lingering dust from the surface. When the joints are filled and the surface is clear, lightly mist water onto the pavers for several minutes. Be careful not to add too much water so the sand doesn’t wash away. Let it sit for ten more minutes, then repeat the sprinkling. Let this dry for several hours. And that’s pretty much it. Learning how to install a paver patio really doesn’t take an engineering degree, just a willingness to get a little dirty! That’s really cool. But I got tired just reading about it and imagining all the wheelbarrow loads. Ow.